The Yoast SEO has indeed made blogging a piece of cake for new bloggers. Image optimization is one of the assessments of the Yoast SEO plugin. SEO Yoast assesses if there is an image inserted in your post and goes further to check if the focus keyphrase is used in the alt attributes of images. Without Yoast, a lot of bloggers will definitely miss out on this when writing a post. So let’s find out what image optimization is all about. Image Optimization: What is an image alt attribute? The image alt attribute also called an alt text or alt tag is a simple descriptive text in place as an alternative if an image can’t be displayed. The image alt ensure that the main information is delivered even if the image is not enabled to display. Additionally, search engines use alt text to determine what’s on the image. As such, the alt text should contain enough information for search engines. In summary, the alt text should be descriptive and brief. For those with basic HTML 5 experience, the alt text should not be strange. because it is a part of the image (<img src=”” alt=””/>) tag. However, it is even easier to image optimization for WordPress Simply open the ‘attachment details’ locate the add the alt attribute and filling the field as requested. On this post we have explained the relevance of image optimization to users, now let’s see why it is relevant for SEO. It is fair to state that the importance of image on any post is to complement and beautify a post but Also, you have provided search engines with textual content to assess you SEO of ranking in image search. Visual search is getting increasingly important, which meaning image optimization strategy for building traffic. Image optimization is more than just adding image alt. 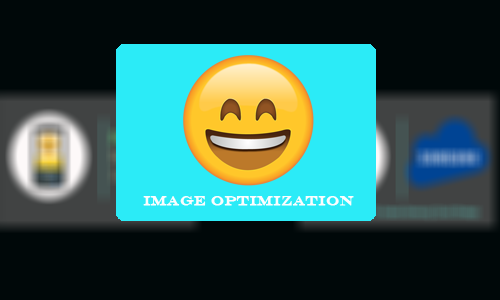 There are other aspects to image optimization. On this post, we will take on basic tips. Number one is to add at least an image to every article you write. Images make posts more appealing and will also enable readers and search engines have an instant understanding of your text thus increasing engagement chances. As discussed above, adding an alt attribute or alt tag to your images ensures a descriptive text just in case the image does not display. In addition, search engines use text description to determine SEO ranking in image search. Using the focus keyword in the alt text is important because search engines its inclusion to rank your page in image search. The Yoast SEO plugin also checks out fo this Yoast SEO Premium also checks for synonyms of the key phrase. Google also looks to use the file name to determine what an image is about. That’s why you should also use your focus keyphrase in the file name. Loading time is also important for upcoming blog site because the faster the site, the easier it is to visit and index. It is important to resize your images to an appropriate size because images can have a huge impact on loading times.